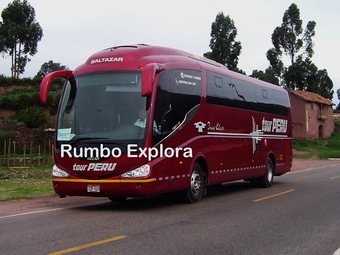 DAY 01: LA PAZ – CHUA PORT – COPACABANA – SUN ISLAND: Early morning between 5:30 – 6:00Hrs a guide and driver will pick you up from the hotel in order to board the bus to your next destination and that will assist you with your and luggage, then you will be driven to Chua port. We board the catamaran to sail the lake towards Copacabana, enjoying Buffet breakfast on board. 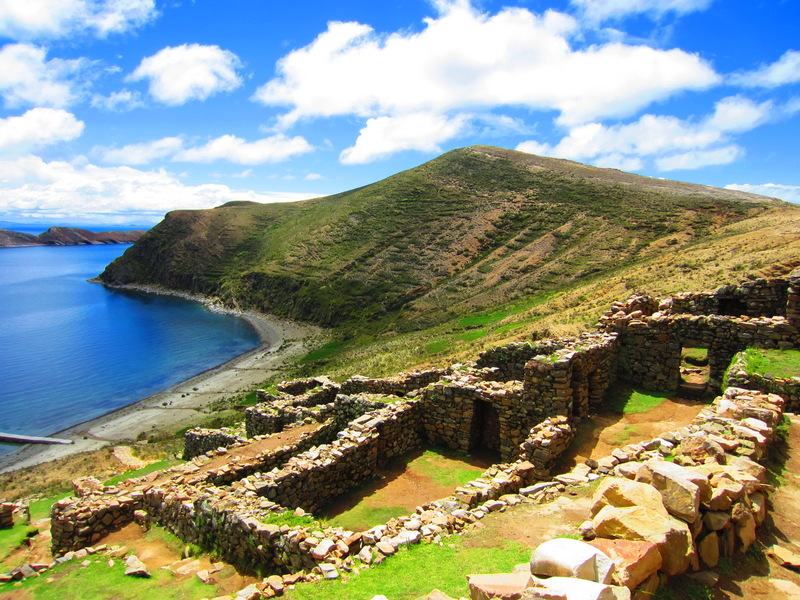 The town of Copacabana is located on shores of Lake Titicaca, to 151 km away from La Paz-Bolivia, 3:00hour’s drive, at an altitude of 3,840 masl, with a population of 3000 inhabitants. 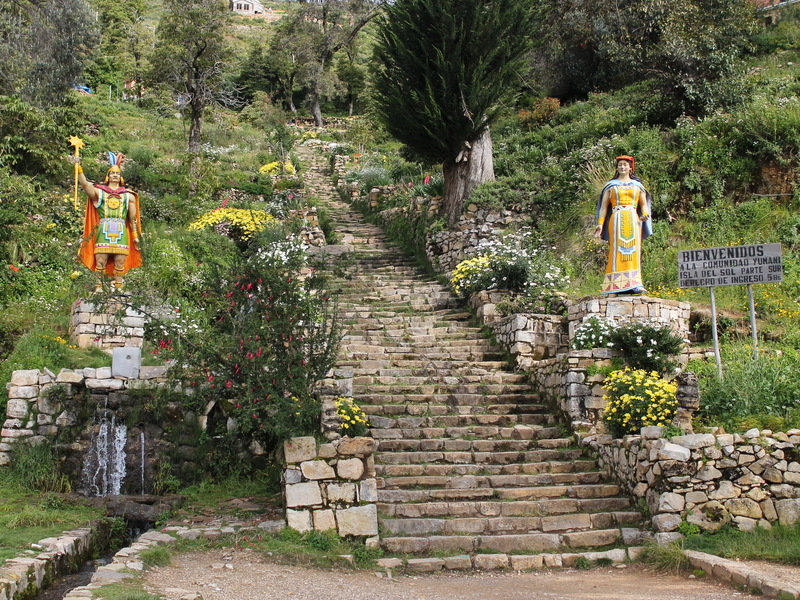 Copacabana comes from two Aymara words, KOTA (lake) and KAHUANA (viewpoint of the lake) for that reason there is an Calvary on the top of the hill, where you will appreciate the shamans or Yatiris – Quechuas and Aimaras amautas who bless to the people. 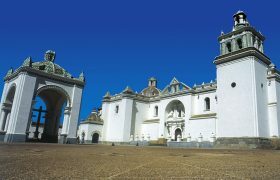 Thre a church in Copacabana which was originally of a Moorish style, then Renaissance style which was built between 1601 and 1619 and rebuilt in 1610 and 1651. The image of the Virgin of Copacabana was carved in wood by Tito Yupanqui which has Indian features and very visited by Peruvians and Bolivians. Copacabana is today a center of pilgrimage of thousands of loyal. Then we Board the Catamaran to sail across the lake in direction to Sun Island, enjoying buffet lunch on board. 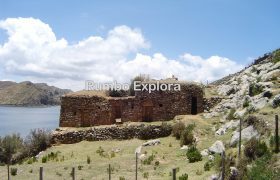 Sun Island which is inhabited by indigenous Quechuas and Aimaras, who are cattlemen, farmers and also work making crafts. Sun Island has a length of 9.6 km by 4.6 km wide and covers an area of 14.3 km². 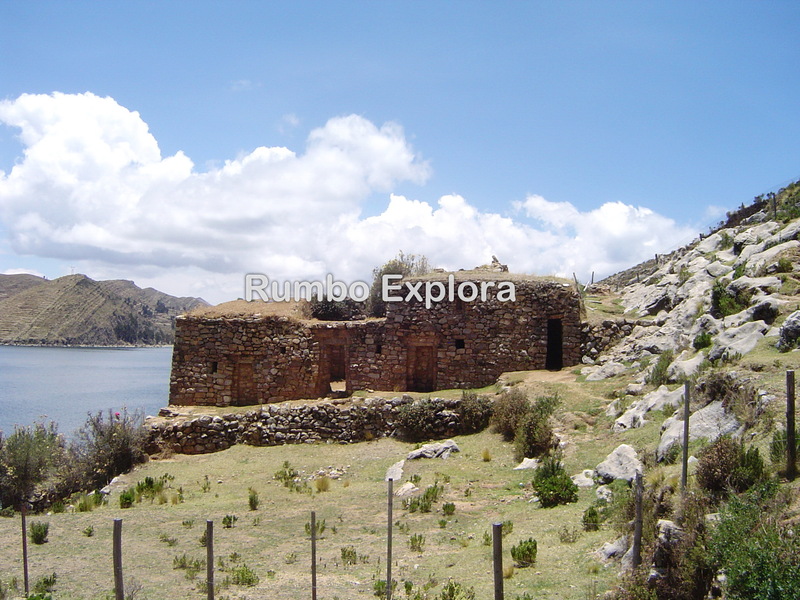 It is the biggest island in the lake; its first name was Titicaca Island which means mountain cat stone or puma stone. Visit Challapampa Village and its archaeological museum, where are exhibited archaeological artifacts rescued from the surroundings, the Chinkana or underground labyrinth and enjoy the participative tourism, visitors have the opportunity to interact with one of the most unspoiled indigenous Titicaca villages through an innovative program organized with the local community visiting their own museum, chapel, school, a typical house, sailing in their vessels to an Inca holy temple and walking through Inca trails. Romantic candle light dinner and overnight on board the Catamaran in lake view cabins with private facilities. Buffett breakfast on board. Then we visit Pilkokaina Palace, unique construction for its characteristics, Yumani is another archaeological site that lead to the top of the island, where exists the Inca Garden, steps and the Inca fountain. 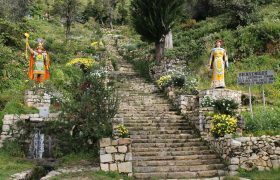 Sun Island has a rugged terrain with many terraces that ancient people have used for cultivation, according the locals the island was the Inca sanctuary with a temple of virgins dedicated to God Inti (the Sun). 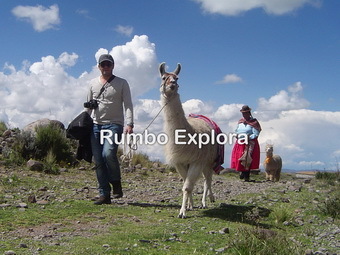 Continue to the Inti Wata Cultural Complex including the Ekako Underground Museum, the traditional medicine and the Titikaka Reed Shipbuilders display centers, the Pachamama agricultural Inca terraces, a handicraft center, the Intica lounge and at the Manco Kapac look out the largest variety of Andean camelids. Snack in the Complex. Then enjoy a unique sailing experience aboard a huge Titikaka Traditional vessel. Buffet lunch on board, catamaran to Chua port. 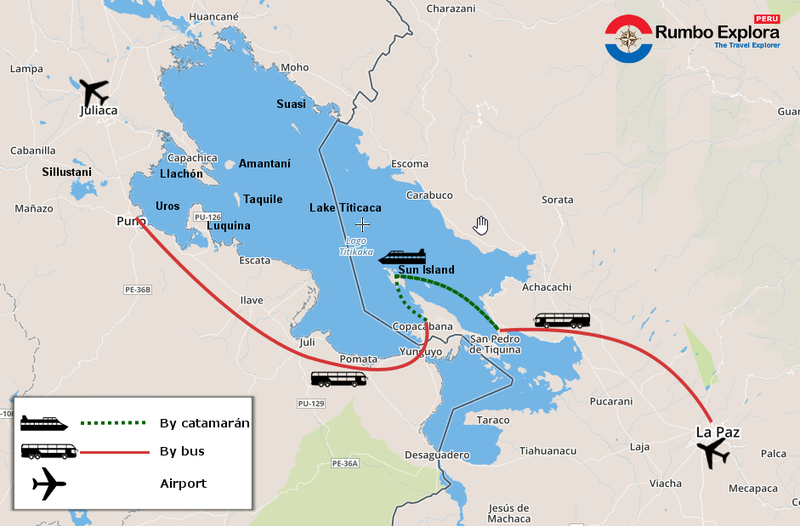 Land transfer from Chua port to La Paz-Bolivia. In the evening around 19:30Hrs arrival in La Paz and then transfer to the hotel. US$305.00 Early morning 5:30 – 6:00Hrs pick up from your hotel then land transfer La Paz-Bolivia to Chua port, catamaran to Copacabana and sun island + overnight & all meals included, english-spanish speaking guide, entrance fees, catamaran to Chua port and return land transfer from Chua port to La Paz-Bolivia. In the evening around 19:30Hrs arrival in La Paz and transfer to the hotel. 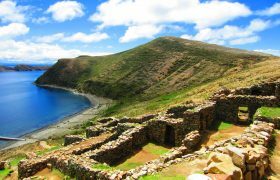 US$295.00 Early morning 06:00 – 06:30Hrs pick up from your hotel then land transfer Puno-Peru to Copacabana-Bolivia, catamaran to sun island + overnight & all meals included, english-spanish speaking guide, entrance fees, catamaran to Copacabana and return land transfer Copacabana to Puno. 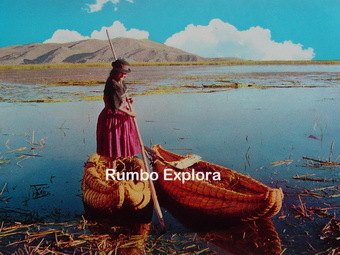 In the afternoon around 17:30Hrs arrival in Puno-Peru and then transfer to the hotel. 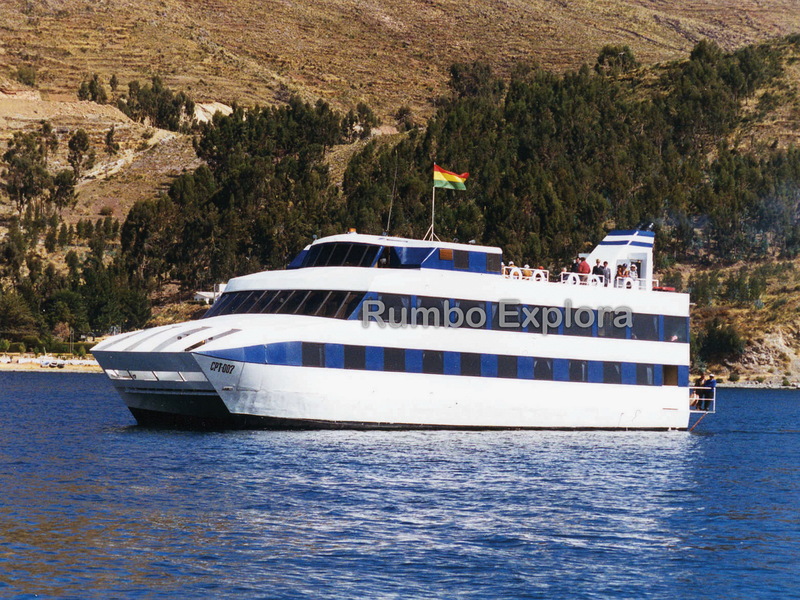 WHAT IS INCLUDED: The prices INCLUDES round trip land transportation for all the group from La Paz/Copacabana/La Paz, English-Spanish speaking guide for 02Days, guided visit church in Copacabana, insurance premiun US$3.5, embarkation fees US$6.5, breakfast on board, lunch on board, reed boat ride for all the group, 02Days-01Night shared Catamaran Cruise. Besides pre-trip information + organization and all local taxes. There are no hidden extras in our prices. The Catamarans have 20 outside view luxury cabins, 40 passengers as overnight cruiser, velocity of 11 knots + GPS + radio communication + night navigation lights + compass + oxygen & first aid kit + life jackets + toilet + Carpeted floor + panoramic windows + cooler. 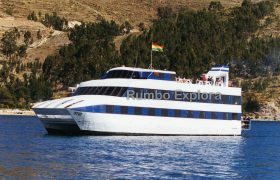 Share the post "Catamaran La Paz Sun Island La Paz – 02 Days Tour"